BOOKFUTURES: NEARLYWRITING & OVERLEAF: does the fate of bookshops rest on the fate of books? does the fate of bookshops rest on the fate of books? Recently, I went to Berwick St in Soho with a DJ friend of mine who was in London for a few days. 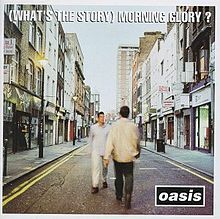 Once hailed as having the greatest concentration of record shops in Britain – back in the 1990s Berwick St had more than 20 independent stores – the strip was even celebrated on the cover of an album by Oasis. But, when I visited a few months ago, the scene was a far cry from those ‘glory’ days. A scant few audiophiles sifted through overflowing racks of secondhand records and CDs. Signs advertised albums for 10p. I politely flicked through bent cardboard and cracked plastic, feigning interest while my friend searched for any loot he might strip from the wreckage. It took me only a few minutes to abandon any interest. I was struck by how relatively quickly the concept of “browsing” had moved from shelf to screen. Through no fault of its own, this record store had become a room full of junk. While I waited for my friend I asked the assistant for his predictions on the future. “It won't be long before all these places around here will be replaced by a string of coffee shops." This struck a particular chord with me because only a few days earlier the research partner I have been working with here in the UK, if:Book, announced its plans to transform a project we’d been working on together, an experimental community based bookshop, into – you guessed it – a coffee shop. Well, not just a coffee shop, but an experiment in finding new ways to attract people to visit spaces where, for a modest expenditure they can enjoy a variety of reading experiences. In this case it happens to be a rather unpretentious café above the local library. Here there’s lots of light, some large tables to work or read and wifi. There’s also a wall of books for sale (a mix of big name and local self published products), and community noticeboards which advertise, amongst other things, courses in digital literacy, book making and creative writing. So, it’s not just a coffee shop but a literary social space. If Berwick St left me wondering: are bookshops – spaces easily as beloved by their public as record stores once were – eventually to suffer a similar fate? The ifBook experiment ‘cafe/bookshop in the library’ made me speculate on whether this might be a possible solution. In his book Last Shop Standing: Whatever Happened to Record Shops? Graham Jones attributes the closure of independent stores to the new market landscape in which record companies put online retailers and supermarkets ahead of independent outfits. But corporate greed and agglomeration are only one side of the story: customers have turned away from traditional shopping experiences in favour of online services. Even the local video rental store has now vanished from our streets because of these changes in consumer behavior. When we talk about the current challenges facing bookshops, there is implicit in this a concern that what such struggles really demonstrate is that books are becoming less relevant in our everyday lives. But is this necessarily the reality? Research I’ve been working on rather gamely claims to consider what might happen in ‘the bookshop of the future’ and many of these blog musing draw upon the qualitative research I’ve conducted over the past 6 months with seven small, independent London-based book retailers and their customers. Based on what I’ve learned through these conversations and observations I want to propose that, contrary to logic, a bookshop, even without (many) books on the shelves really can be more than ‘just a room’? to its customers. The idea that bookshops have important symbolic value as well as a commercial role is evident in any analysis of popular media. In books and films the bookshop also regularly features as site for charming and whimsical personal encounters (think of 84 Charing Cross Rd, or films such as You’ve Got Mail or Notting Hill). Bookshops are rather like holidays, not only because they are associated with relaxation and escape but because, as with taking a holiday, what we value most of all about them are the affective associations they engender. Bookshops are spaces for their patrons’ fantasies about their preferred engagements with their preferred kinds of literature. They evoke feelings. This being the case the idea of the bookshop is arguably more valued than the actual store on any particular street corner. This is why the loss of our bookshops is greeted with even more concern and scandalized outrage than the disappearance of retailers such as record stores or other high street retailers because access to books is understood to contribute so much to a healthy society. Miller observes that independent stores have worked hard to harness the sense of community and being ‘in touch’ that customers anticipate, using this to set them apart from their conglomerate competition. These activities allow small, local stores to account for their undiscounted prices, and also give customers that much desired sense of being ‘in touch’. But, however nice it is to have a ‘sense of community’ this doesn’t address the realities of our daily habits. I have no doubt that you and I both support the notion of community, we both value the democracy engendered by literacy, we both want local small businesses and local artists to succeed. We both like nice coffee. We both also buy books online. I myself admit that I do almost all of my book purchasing online — partly these are ebooks for the ease of travel and research, but also because printed books cost a lot of money. Customers I spoke to expressed similar sentiments. They enjoyed browsing but often returned home to buy a book online at a discount. Or download it. It’s not just that interesting things aren’t happening inside small bookshops, but these days much of it isn’t traditional book buying and selling. In the sites where I’ve been conducting field work I’ve noticed some small but significant changes. The internet and digital social networks are being used not just to link people with common allegiances who are geographically distant but also proximate. Several of the stores I work with understand that the majority of their online network is locally based and tailor their digital identity to reflect this. So for instance, one store I visited maintained a popular Twitter identity that kept followers up to date with day-to-day activities in store, from the boredom of the daily commute, to frustrations ordering stock or indecision about lunchtime sandwich selections. Even if you’re not in-store it’s easy to keep up to date with the daily life of the bookshop. This store recognized that it wasn’t reading books or critique of books that suited social networks, but being around them in a very quotidian way that was the key. This same store also manages a slate of after-hour events that have almost nothing to do with books (quiz nights, sewing classes, music, comedy and most recently even an Avon evening). These cases illustrate how the old idea of community support and being ‘in touch’ can match with the immediacy and novelty of digital networks. As definitions of “reading” and “readers” have expanded with digital communications its very like that the bookstore’s ideal customer might not even be someone who would describe themselves as having that traditional “passion for books.” Yet, they find their social and cultural tastes and allegiances well catered to by the store and its wider network. These are the book store’s new potential customers. Bookstores need to take greater account of this change, emphasizing their role as social spaces for people, rather than store houses for stock. The bookstore’s continued ability to generate affection, even among those of us whose actions end up undermining it, perhaps speaks less to our love of books and reading and more to our desire to feel ‘in touch’ with our local environment, via the symbolic value books and bookshops represent. Bookshops need to give people ways to connect online and reasons to leave the house that don’t rely solely on the sale of their primary product. To survive, bookshops need to do something many record stores did not, that is, reinvent themselves as physical destinations within a broader network for reading, rather than being only in the business of book selling.